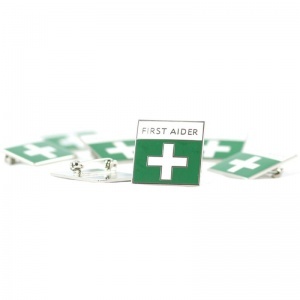 For easy identification of first aid personnel, the First Aid Enamelled Badges are a great accessory to have on hand. Just pin the green metal badge onto the first aider to make it known to people around them that they are trained in providing help in emergency situations. 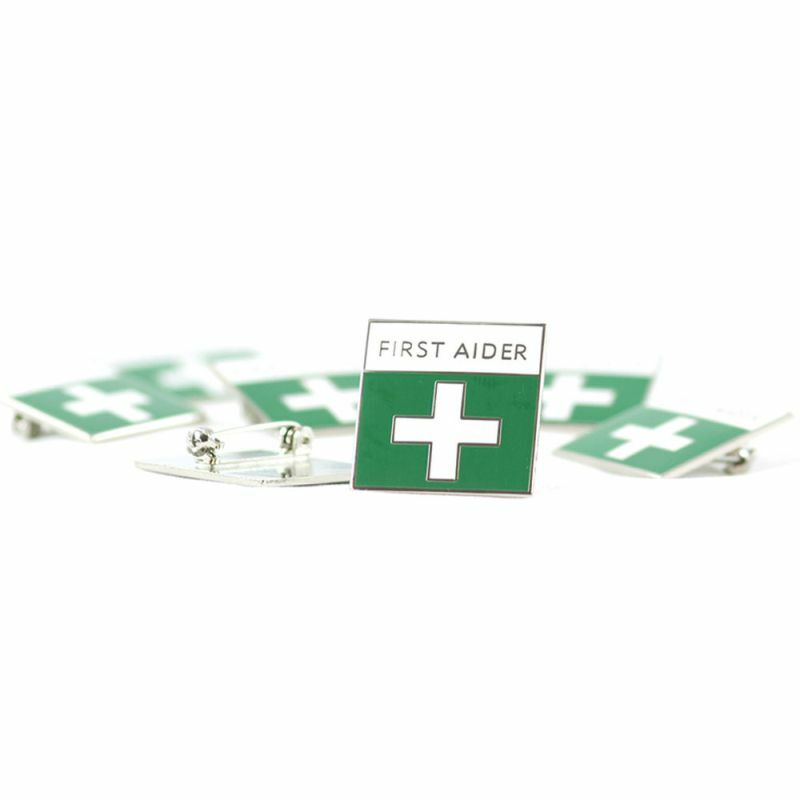 These badges are easily recognisable, printed with the traditional first aid logo and lettering. They can be worn by trained first aiders in the workplace, or by anyone in general who possesses a first aid qualification and wants to make it known that they are able to assist in times of emergency. The First Aid Badge features a standard pin clasp that is commonly seen on other badges, which is strong and holds onto any piece of clothing or material well. The enamel on the badge is scratch proof so that it continues to look well presented and professional, and it easily seen by other people. The First Aid Enamelled Badges are usually dispatched via First Class Royal Mail and delivery should be within 1 to 3 working days.